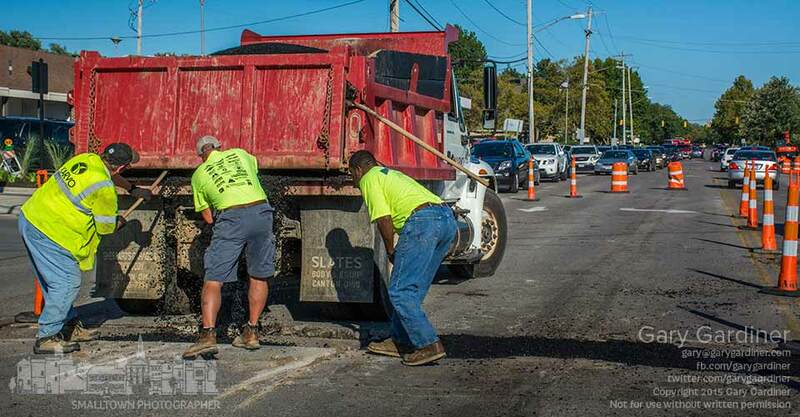 A road crew works quickly to make repairs on Schrock Rd. after heavy traffic forced steel plates off a section of the roadway where contractors recently laid new underground pipes in the first phase of construction to rebuild and expand the intersection with State Street. My Final Photo for Sept. 14, 2015.